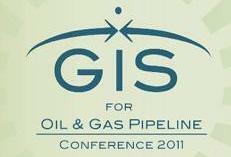 Clinton Libbey, a geospatial enterprise manager at Google, dovetailed historical exploration and current mapping data accuracy in an entertaining opening session address to attendees at the 2011 GIS for Oil & Gas Pipeline Conference yesterday morning in Houston. Libbey has been in the mapping industry for approximately 18 years. He started his career with Core Software Technology, where he created the first global satellite imagery browsing system and ultimately became vice president of sales. After Core, Clinton joined Harvard Design and Mapping (subsequently acquired by First American), where he was responsible for defining and marketing a multi-hazard monitoring system for the insurance and banking industries. He later joined Microsoft, where he was responsible for the sale of Bing Maps to companies in the Eastern region. Clinton joined Google in 2010 and is responsible Google's enterprise geo products to electric, gas and telecom utilities in North and South America. Stressing the importance of having accurate data, Libbey provided numerous examples of how explorers throughout history added their information to maps of their era, as new discoveries and observations were made. The difference, he noted, was that keeping data current is a task made considerably easier by continually evolving technology and a broad source of data to improve maps today: A growing number of people around the world who use Google's MapMaker. Geospatial technology: Is your GIS smart grid ready?